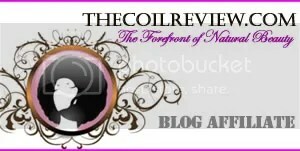 Stylish Blogger Award | NaturalReview|Natural Hair. Natural Living. 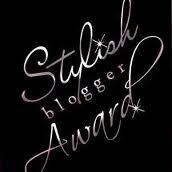 Big thank you to Onyx Rose Online for giving me the “Stylish Blogger Award!” Please check out her blog. She has so many interesting articles. I can’t listen to people with British accents talk for too long without using one myself. My favorite beverage is lemonade. Most of the people I know in real life don’t know that I have a blog. Thanks you! I’ll do my acceptance post tomorrow! Thanks!! I thought I would tell people by now, but I still haven’t. I wonder if they would recognize my face from the logo. 3 and 4 made me laugh. I can’t believe you keep this blog a secret. If it was mine I would tell everybody. Wow! Thanks for the award. I will post my acceptance tomorrow. Along with the many other posts I’ve been planning. Thanks again! Thanks again, and I will be posting my list/acceptance tomorrow! lol @ number 3 – i would love to meet & SPEAK with you in real life just so I can hear your British accent!! thank you so much for the award!! I will put up my acceptance between tomorrow & Saturday. No, Paige. Don’t tempt me. I try to keep from doing it, but I can’t help it. Thanks for awarding me sis! I’m working on my post now! This is a great way to give props to all the sistas that work so hard to share information within the community!